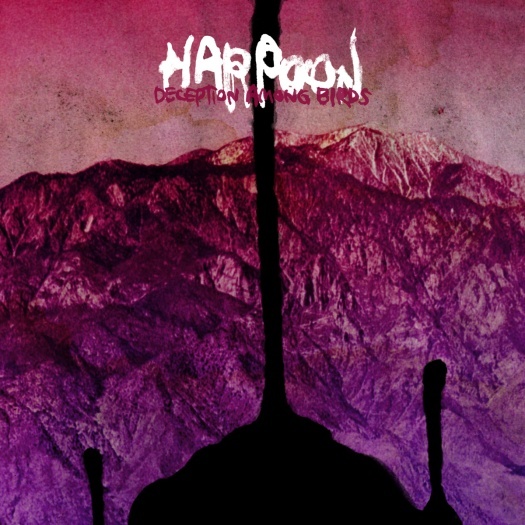 Chicago, IL-based Harpoon combine the speed of grind with the sonic effects of drone. Deception Among Birds is marked by layered, obscured vocals, big, booming drums and highly distorted guitars. This album is composed entirely of frayed edges – the songs evolve, morphing as they progress. "Trogodyte's Delight" begins at a sludgy, oozing pace then gradually thins out and speeds up. As the song flows more rapidly, it runs cleaner. At times, like in "the Cut of His Jib," the cacophony and layering can get a bit out of control, the waters too muddied to drink. The complexity can get the better of this album here and there, but the moments of clarity are extremely well executed.